Are you Struggling? Maybe you’re injured 🤕 or have pain and you’re struggling to get back to the activities you love ❤️ to do? People think coming back from an injury or rehab is a linear progression. That each week should improve on the one previous. It’s not Linear. There are plateaus, dips/regressions and also progress. 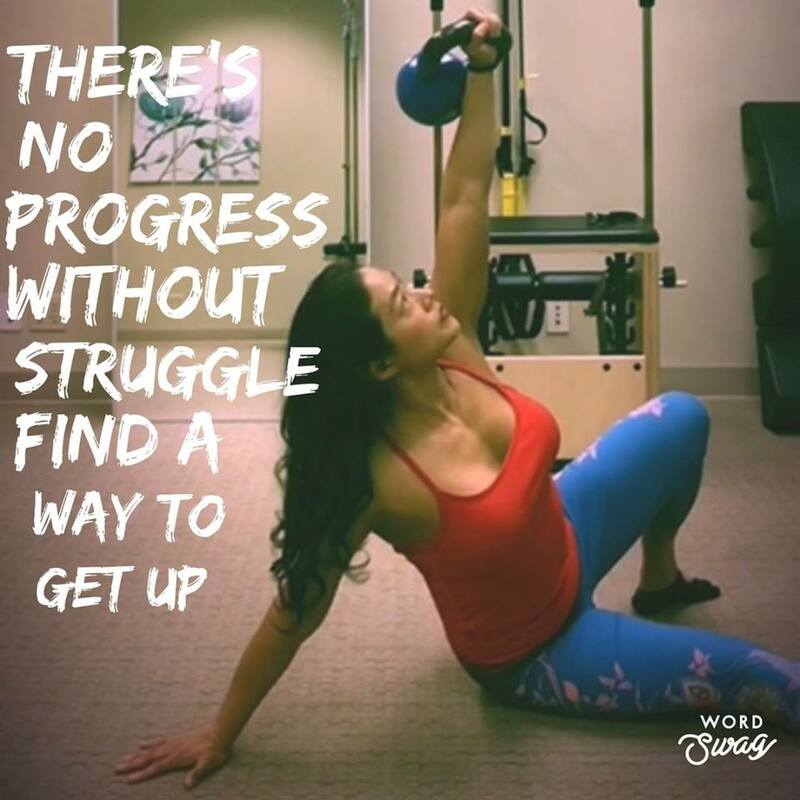 Just remember: ⭐️There’s never any progress without some struggle SO👉Find a way to “Get Up”. And know that “This too shall pass”. @ironptmom working on her Turkish Get Up back in the days of her training for her RKC Certification when this weight used to be a struggle.